Welcome to Travel Guide 2 Czech Republic, the site about travel, tourism and vacations in the Czech Republic. The Czech Republic (Czech: Ceská republika) is a landlocked country in central Europe that borders Austria, Germany, Poland and Slovakia. As of 2007, the population of the Czech Republic was an estimated 10,306,709. 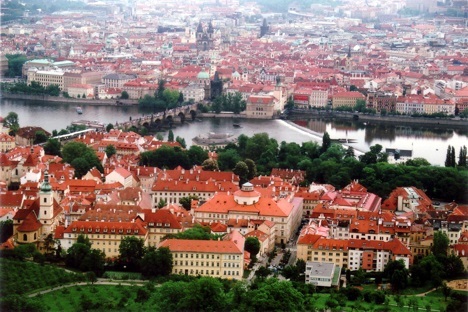 Just under 1.2 million of the Czech Republic's inhabitants live in the capital city, Prague (Czech: Praha), and about another 0.8 millon in Prague's metropolitan area. There are many other cities in the Czech Republic, four of which ( Brno, Olomouc, Ostrava and Plzen) have populations of over 100,000. 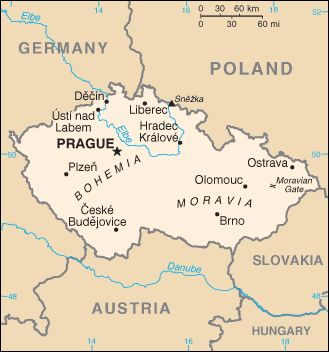 The Czech Republic has an economy which is one of the most successful and stable of the post-communist states, and the country today has a developed, high income economy, which is not far behind the European Union average (the Czech Republic has bee a member of the European Union since 2004). The Czech government has expressed hopes to adopt the euro currency by 2010, but the Finance Ministry has indicated that required financial reforms may delay adoption until 2012. The country's most important industries are brewing, ceramics, chemical production, china, electronics, glass making, heavy and general machine-building, iron and steel production, metalworking, pharmaceuticals. textiles and transportation equipment. Tourism is also a very significant part of the the Czech economy, contributing more than 5% of the country's GDP, and over 9% of export earnings.